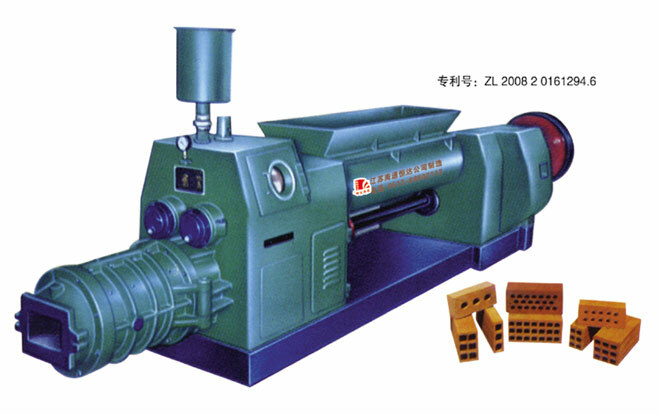 This Extruder is an extruding & shaping device for hollow brick production line. It is suitable for hollow bricks with highly ratios hole, sintering bricks highly contained fly ash, low plastic glues soil brick, as well as the production of gangue and shale bricks. It enjoys many advantages: structure novel, technique advanced, high extruding, big capacity, highly vacuum degree, so it can instead of imported equipment. It is controlled by air clutch and is sensitive, convenient and reliable. It has been named excellent product by national authority department. It is exported to Bangladesh, Sudan, Egypt and so on, and gaining the high appreciation.